Whether you want to dig deep and unearth fresh dirt or pull stray weeds from your garden, there’s a tiller to help you with your outdoor projects. This year, we’ve made it easier than ever to find the right rototiller for any task. 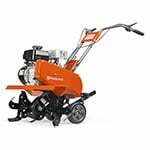 Our lists of the Best Cultivators, Best Front Tine Tillers, and Best Rear Tine Tillers provide you with the information you need to choose the perfect garden equipment. You’ll find our products sorted into best-selling, top-rated, and expert-recommended tillers. Not sure which type of rototiller you need? 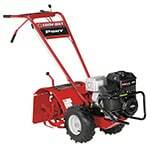 Our Rototiller Buyer’s Guide is a great place to start. Once you’re ready to shop for the perfect tiller, click on one of the categories below! Best Tillers.. Our Power Equipment Direct how-to library can help you learn about How to Grow Crops with Raised Rows or Beds, Proposition 65 Product Labeling and Sales Tax Information.